I always try to follow the less-is-more approach to packing, but packing for a family holiday is an entirely different beast. There is so much stuff little people need. 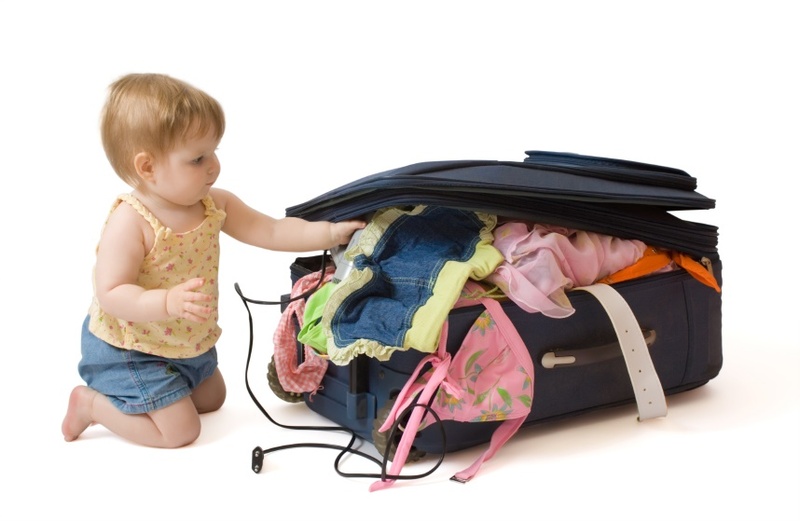 To start with, a ‘spare’ of everything for the ‘what if’ scenarios; ‘what if’ my baby is sick, ‘what if’ her nappy leaks, ‘what if’ he’s too hot… Next, the essential ‘bag of tricks’ for the flight, packed with anything to help prevent a mid-air meltdown. That’s before you consider should you bring the buggy, car seat and or travel cot? Oh and you still haven’t packed for yourself yet. Packing for a holiday with the kids definitely requires time and organisation. If like me, neither of those requirements are at hand, rest assured! I’ve made tonnes of mistakes and am happy to share them so you can avoid them! Here are my top 6. Always edit your child’s bag on the sly before travel. You might find they go for all the heavy/ fun stuff and forget to pack the essentials. My daughter packed 5 books, 6 cuddly toys, a water pistol and no pants for our last holiday! Bring a mini First Aid kit. My son nearly sliced off the top of his toe getting out of the pool on one holiday, and I didn’t have any plasters. You can buy mini first aid travel kits or make them up yourself. Essentials include baby nurofen or calpol, plasters, insect repellent, antihistamine, after-sun for kids and sudocreme. Tweezers and nail scissors will come in handy too, but only if you have a checked bag. When my daughter was a baby we went to Spain… I presumed everywhere would be open on arrival and didn’t bring food beyond enough for the flight. I didn’t realise all the big supermarkets and most pharmacies close on a Sunday. We found somewhere eventually but it was stressful! Consider buying a checked bag! You will end up carrying your children’s bags, and often your child too. We went one year with the two kids and 8 pieces of hand luggage between us. My husband’s logic at the time of booking was that we could each bring 2 pieces for free. If we’d thought it through, that meant carrying 8 bags and our two kids, who were both too little to walk through the airport. Lastly, a mistake courtesy of my sister! She brought her two little boys to Legoland recently and because they’d grown out of the buggy a year ago, she didn’t think to bring it. You tend to walk around a lot while on holidays… up and down to the beach, in to the town, around the equariums / fun parks / water parks etc and within minutes she heard the “Mum, I’m tired, will you carry me” etc. So, hopefully I haven’t put you off ever leaving the country again! For some information on traveling Ryanair with the kids, have a look at this post!